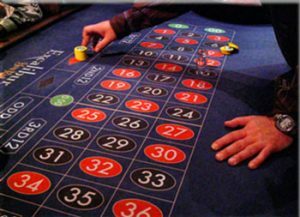 Roulette is definitely one of the most famous and the most wanted casino games of gamblers from all around the world. Ever since it has appeared on the gambling scene, it has been attracting numerous players by its fast-paced gameplay and the prospect of quickly winning some money. I have dedicated this article to people who made roulette-playing history either by being absurdly bald, or lucky, or both. I’m sure that these success stories will be inspiring enough for you to rush to the nearest Roulette table and place your bet on a couple of spins yourself. The first success story is about the man who won big by scamming the casino he played in, so I can’t say that you should follow his example. If such an event were to occur today, you would certainly end up behind bars with more than enough time to figure out what went wrong. However, the first major Roulette win happened in a casino in Monte Carlo in 1873 thanks to a skillfully devised fraud. Namely, Joseph Jagger was very good at mechanics and had considerable knowledge of how different machines operate. He wanted to use that knowledge to get rich quickly and effortlessly. He offered money to several casino workers to keep track of the winning numbers at a Roulette wheel for some time. And when he got his results and analyzed them, he realized that the machine was faulty because certain numbers appeared more frequently than others. Mr. Jagger was ready to take advantage of this finding and took his seat at the Roulette table. Within a couple of days, Joseph Jagger won an amazing $375,000, thanks to the crooked roulette wheel. Nowadays, this would be millions in winnings. However, the best thing about this story is that once Mr. Jagger left the Roulette table, he never entered a casino again. So although he became rich by cheating, which is never a good idea, James Jagger was a perfect example of a “play big and go home” gambler who was focused on his goal, and once he achieved it, he stopped gambling completely. And now for something completely different. If the first story talked about knowledge and detailed planning of winning big at Roulette, this one is its antithesis. This is a short story of Charles Wells who had a reputation of a small-time crook known for his numerous shady businesses. When he entered a casino one night in 1891 and started playing Roulette, no one had suspected that he would become the “hero” of an amazing winning story. This man had beaten the house by winning an incredible 23 spins in a row. He then left the casino with around 1 million francs in his pockets. Although the casino people believed that he cheated, it turned out that he had played clean and that his win was pure luck. However, this wasn’t the only time Charles Wells got this lucky at the casino table. He somehow managed to repeat his incredible success and double his winnings by gambling some more. Unfortunately, he wasn’t as smart as he was lucky, because he allegedly died without a penny. It is believed that he wasted all his money investing it into shady business ideas or at a gambling table. This Roulette story should be turned into a Hollywood movie. I am sure it would become a blockbuster in no time because of the unique plot. Ashley Revell woke up one day and decided to take his entire life savings, add them to the money he had earned from selling all his possessions and head straight to a casino in Las Vegas. Once he was there, he sat at the Roulette table and supposedly said the line from the heading. Thus, he invested his entire past, present, and future on a single spin. He bet on red, and the ball stopped on 7 red. In this suicidally bald attempt, he doubled his money, which he later used to start an online casino business. If this isn’t silver screen material, then I don’t know what is. An oddly similar thing happened to an IT expert Chris Boyd who took his $220.000 and started looking for a Las Vegas casino that would accept such an immense amount of money as a single bet. He eventually found the casino that agreed to take this bet, as well as to cover the double 0 pocket on their Roulette wheel, turning it into the European version of the game. He also put all he had on red, and the ball stopped on 7 red. Chris Boyd took his money and left the casino never to come back. He has successfully managed to stay under the radar since then, so there is no update to this story, but he certainly didn’t end up in some shelter. This isn’t a story about a life-changing win at Roulette. Mike Ashley was already filthy rich when he decided to place his roulette bets. This billionaire and Newcastle United football club owner took almost half a million pounds to the Roulette table and covered every single inside bet that involved number 17. In addition to this, he covered several outside bets as well. He ended the game with around 1.3 million pounds won. This amount may be pocket money for Mike Ashley, but it is considered to be one of the biggest wins at Roulette ever. Pedro Grendene Bartelle became famous when he won an astonishing $3.5 million betting on Roulette. His win instantly became breaking news, and many tabloids wrote about it. However, there were some inconsistencies in their reports, as you would expect from tabloids. According to them, Pedro placed his entire bankroll of $35,000 on a single number, a so-called straight-up bet on 32 red. However, this kind of bet brings a 35:1 payout, so if you do the maths, you’ll see that he would have won much less if he had placed only this bet. So Pedro must have played several other inside bets that included number 32 as well and won them all. Whatever the case may be, one thing is certain — the Roulette wheel turned him into a millionaire. I know that you expected a well-known Sean Connery story about winning the Roulette in real life and on the movie screen betting on 17, but that won’t happen. 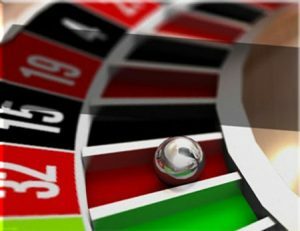 This success story became evergreen long ago and was an inspiration for many people to try their luck on roulette themselves. In some way, it was an incentive that made all of these previously mentioned stories possible. We can see that Mike Ashley won by betting on 17, and that is a sufficient homage to the timeless Bond gambling scene. Although these winnings were a result of pure luck, they make up for some amazing stories. So who knows, maybe you can join these people in the roulette hall of fame if you just give the game a shot. After all, spinning a roulette wheel may end up being a life-changing experience.